How can I pass parameter using the snippet? Can I export and Import Snippets in the plugin? Can I allow my editor to use the snippet? Yes, you can export and import snippets in the premium plugin XYZ WP Insert Code Snippet. 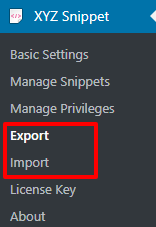 We can see “Export” and “Import” section in the plugin. Click the export link to export the snippets from the site. 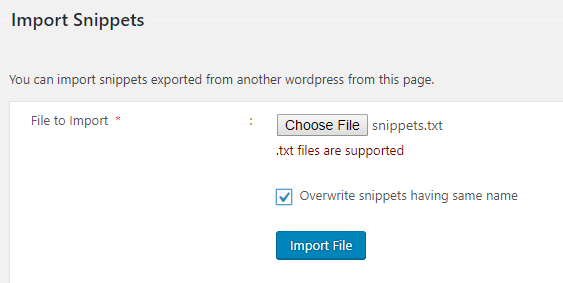 Click the Import link to import the already exported snippets to the site.